jessie's ty blog : The school bank. Hey Hey Hey everyone. Something very exciting has happened in Ty (aswell as many other exciting things), The school has opened a school bank. 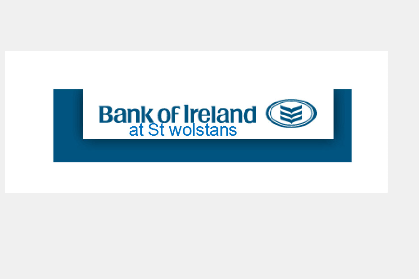 It is sponsored by the bank of Ireland and it has a team of management. Two weeks ago the bank of Ireland sent the info to our teacher and sent us an application form. A number of Tys applied and Tuesday of last week the interviews began. I had mine at twelve o clock. I was quite nervous but excited aswell. Two member's Of management from the Bank of Ireland came and gave us the interviews, they were very nice and welcoming. Two days later on Thursday I found out I got the job I went for, The sales and marketing manager. I was so happy and still am. Now alongside my team, we plan on making the bank a huge success and achieving our goals in order to win the rewards offered to the school, members of the bank and to us. This Monday the 7th of December will be our bank launch day and we hope it will be a stunning success. Hope you all get a chance to come down and open your own account and see what exciting surprises lye in store for you. This is such an amazing opportunity and I already love the job. I look forward to all the exciting tasks to come our way very soon.